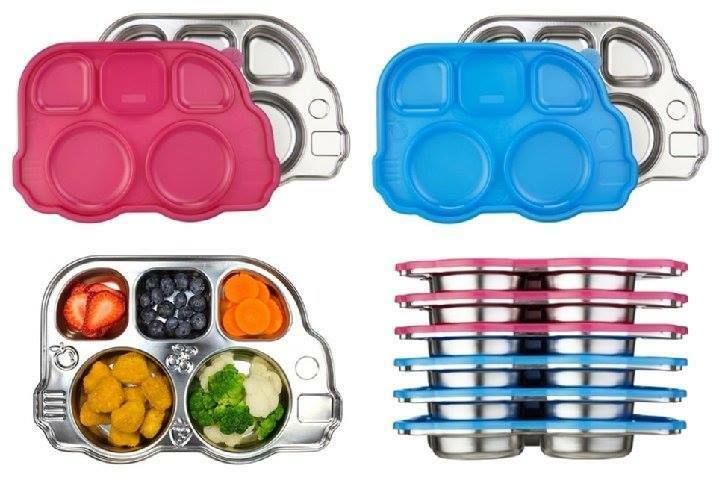 Kid friendly fun shape makes meal time a breeze. 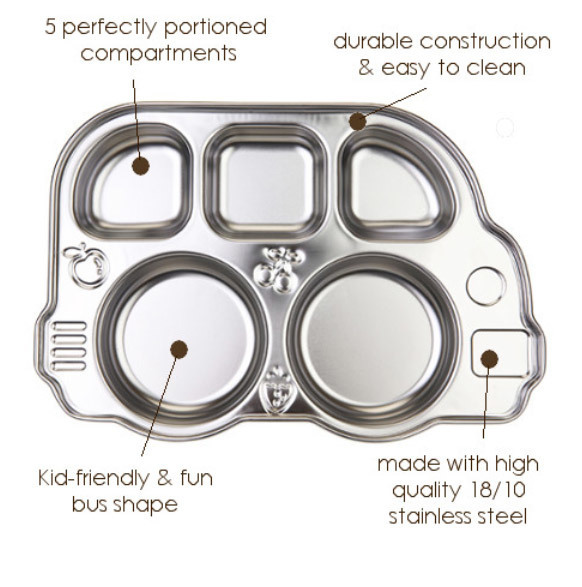 The five separate compartments educates your child about the five food groups. 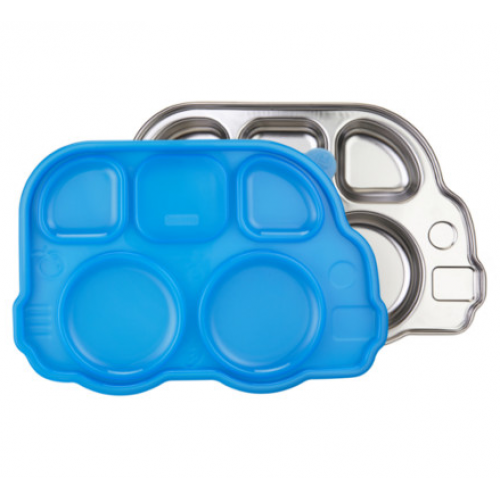 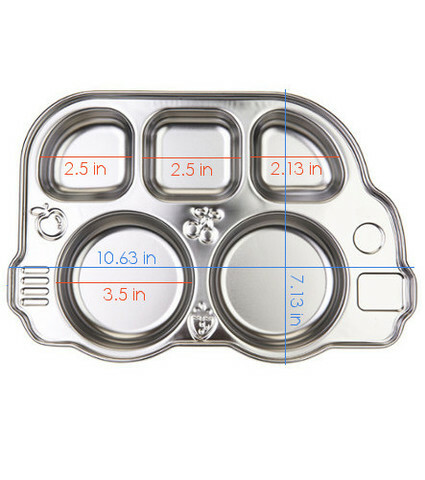 Divided compartments prevent food from sliding and mixing. 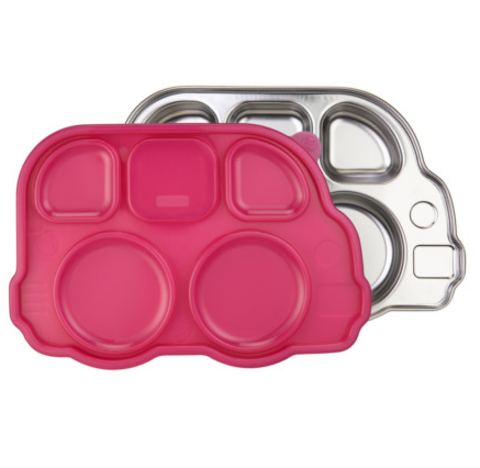 Sections also are perfect for portioning just right! 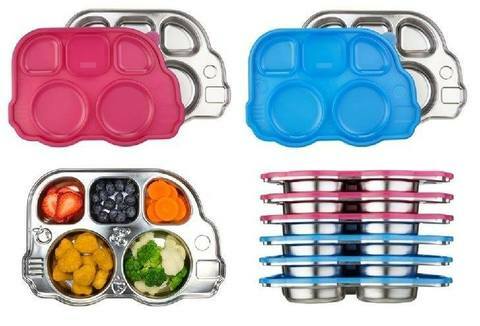 on toxic and worry-free mealtime solution. Made with high quality stainless steel. Stain resistant and dishwasher safe.